Morris is just about as perfect as they come. He has the perfect height, perfect stride, and the perfect combination of strength and speed. Heck his manners, smile, and even his hair are all darn near perfect. Morris has just as good of an opportunity to win the TDF as anyone. Although he hasn't significantly raced on the track just yet, trust me, he is in good shape. 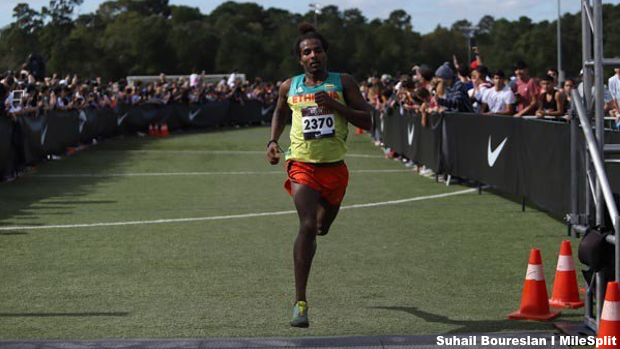 He competed at the USATF Cross Country Championships on February 2nd when he ran 24:54.00 for the 8K where a late race fall kept him from qualifying for Team USA. Don't let the stumble fool you, Morris is a straight up racer and has plenty of national and international experience. If you need a reminder, the kid is the UIL 5A state XC champ and the third place finisher at the 2018 Foot Locker National Championship. Maier is a monster! This Fall, he finally captured the UIL 6A state title that previously managed to allude him. He isn't satisfied though and he could be coming for more this weekend. 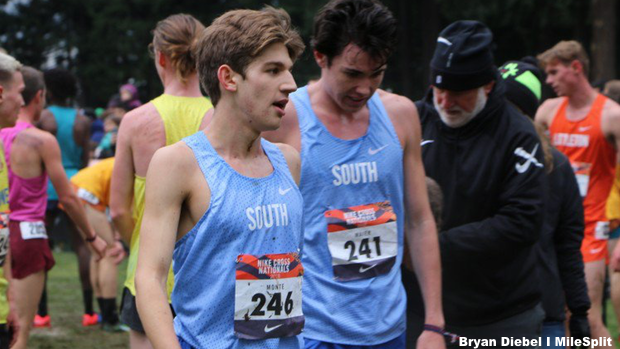 He capped his high school XC career off with a seventh place All-American finish at NXN. 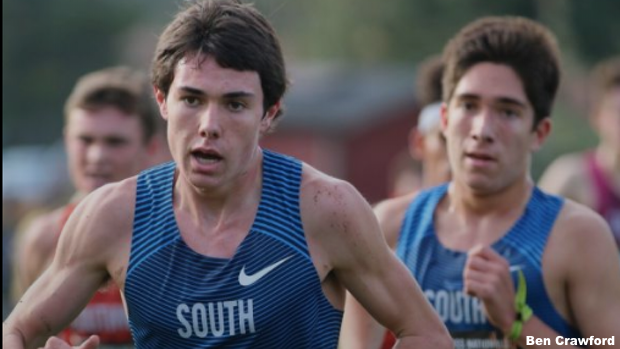 His 2019 track season is off to a good start as well as he started with a 9:14.45 2 mile at Texas A&M High School Indoor Classic back in the first weekend of January and then followed that up last weekend with a 9:07.21 at the New Balance Nationals Indoor. Maier also ran a 4:21.38 this outdoor season. As with Morris, Maier has a speed and endurance combination that makes him tough to beat anytime anywhere. Kirk is another Flower Mound UIL 6A individual state champ. However, he is underestimated a lot of times. His state title came back in 2017 during his sophomore year, but don't think he isn't still at the top of his game. 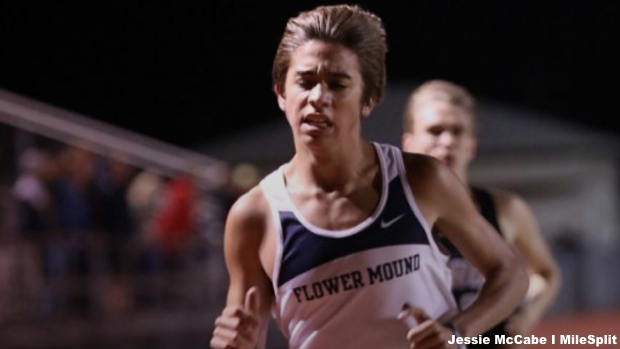 Kirk recently ran 9:07, which is good enough for the #1 ranked TX 3200m this season and he did it in cold and windy conditions. He also has a 2:01.66 in the 800m and a 4:19.25 in the 1600m this season. If his current times up and down the distance ladder this season isn't evidence enough that Kirk is primed and ready to go, then just wait and see how well he does on Saturday. Don't be surprised if he takes the TDF win. Schoppe is similar to Kirk. 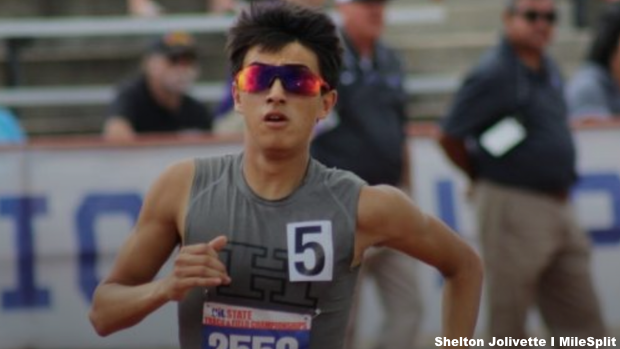 He has a state title (2018 UIL 6A 3200m), but there may still be some doubt to some that he can put it down when it counts. 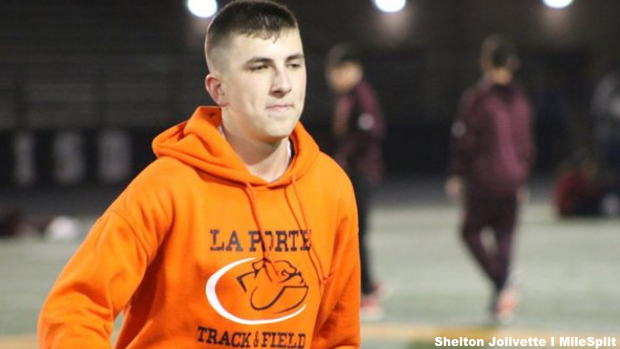 He had to cut his cross country season off sooner than he wanted to because of an injury and it seems like it has been out of sight out of mind when it comes to consideration for Schoppe. However, the La Porte junior is back healthy and ready to roll. He is also eager to make some noise and open some eyes in this race. Schoppe can do just that, he has proven that he can run some fast solo times as he has done with a 9:12.08 3200m last weekend, and a TX #1 4:14.45 the previous week in the 1600m. What will be produce in a race with several quality runners. If you want to talk about a kid who can race, then Abeyta is your guy. As with Schoppe, he shut down his XC season early as well and had to bypass the national championship season. But, the best runner from West Texas is back and ready to roll. Abeyta has run everything this season at least once including an event as short as the 400m. That may be his most impressive stat of the year with his 49.90 last weekend. But, Abeyta is a distance runner all of the way down to the core of his heart. Last year, he competed in the 1600m as he won with a 4:16.40. He plans to win another TDF race this season, it'll just be a little longer of a race. Knight hasn't really impressed much this track season. He probably hasn't had many race where anyone has challenged him yet this season. That will drastically change this weekend at the TDF. He will have the competition he seems to thrive off of and more. He has a front runner style that should have him right in the thick of things in this race. Knight is experienced as a senior but also has some familiarity at this meet as he elected to run the 1600m last season. 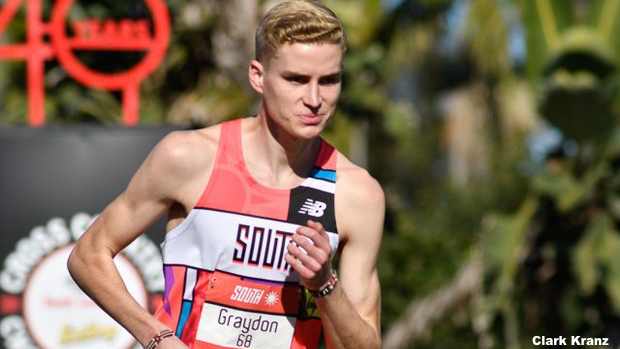 This year, he is going for the gusto in the Boys Elite 5K. Will the bright lights and the competition on this stage be too much for Lindhorst? This is his first time at TDF and it has been known to swallow up some of the best. But, Lindhorst has shown he has what it takes at meets like this. Just last week, he finished 10th overall in the 1 mile at New Balance Nationals Indoor in 4:12.97. I'd say he is ready, but not only for the stage, but also for a fast race. Lindhorst has some good outdoor marks this season with his 1:57.07 and a 4:17.97, which with last weeks race proves he has the leg speed to run in this race. Don't sleep on him because he has what it takes to come away with the win. Monte had an up and down and then up again cross country season. We saw him start off the season on fire and then hit a lull towards the end when he got sick. He picked things back up in time to qualify for NXN and then finish with a good race there and a 26th overall finish. Monte is on a hot streak once again on the track. 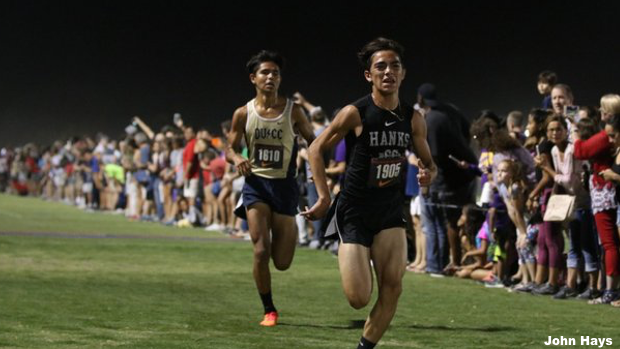 He ran a 4:21.95 in the 1600m about three weeks ago and dropped two consecutive PRs in the 3200m with a 9:14.33 and then a 9:13.00 last week at the Vandegrift Viper Distance Festival. He soloed both efforts and is now ready to see what he can produce in this loaded field. Monte is definitely a possible winner! If someone ever doubts that putting the time and hard work into this sport pays off, then just use Rivera as an example. This young man catapulted from one of many to one of that you have to consider when discussing possible winners. He trains with a stud in Michael Abeyta who we featured earlier on this list and that has helped him push to be the runner he is. Don't get it twisted, Rivera can stand up on his own two feet and he has shown that he can run in big races. 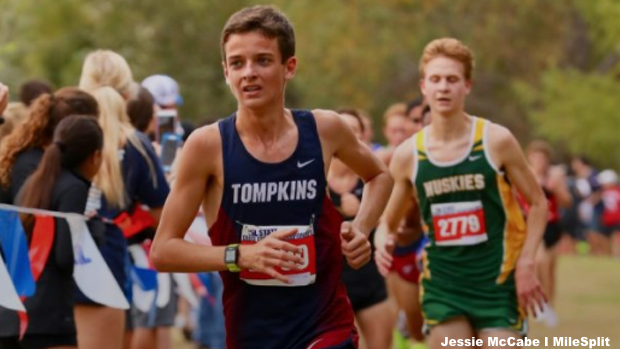 He finished ninth overall at the Nike Desert Twilight Festival in Grande Mesa, Arizona last Fall and then eighth overall at the loaded UIL 5A state XC meet. His track times might not reflect his improvement yet, but that could all change with the TDF.